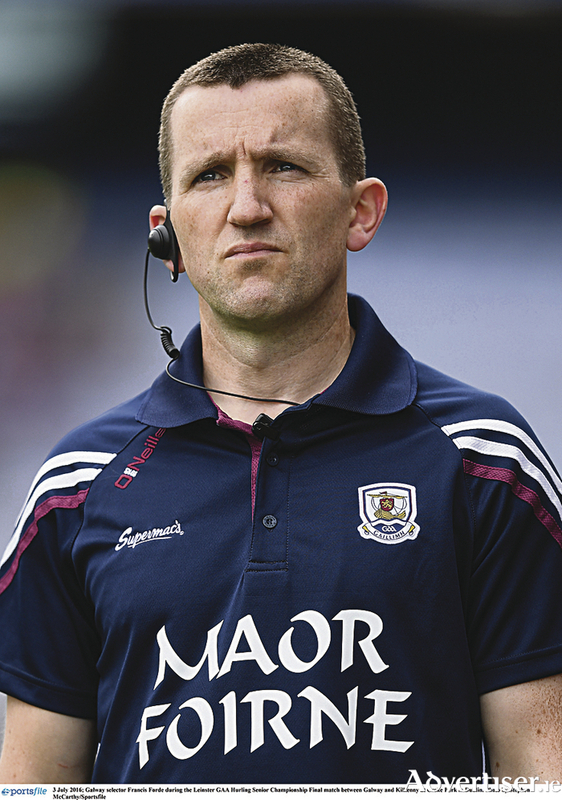 A winning tradition is helpful, according to Galway selector Francis Forde. In the past quarter of a century Galway has won nine minor All Ireland titles and five U21 All Irelands, but it is 29 years since they have brought the Liam McCarthy west of the Shannon. While winning national titles at underage level has become a relative norm, Galway has been unable to transfer that success to senior level. However selector Francis Forde believes a winning tradition is necessary to help counties over the line. "We don't have a tradition of winning All Irelands at senior level, and yes, we were able to win minors and to a lesser extent u21 All Irelands, but bringing players through to winning a senior All Ireland is a whole different ball game," he says. "As a county we didn't and don't have huge experience in that regard, and if you don't have that kind of experience to draw on, it becomes more of a challenge and it remains a massive challenge, no question about it. "In fairness to our structures in Galway, we have to take the long term view and keep pushing. There has been a lot of talk about our consistency levels, we'd be happy with that this year, but the challenge for us and Galway as a county is to keep knocking on that door. Waterford, he says, is an example of that progress. "Waterford have been remarkably consistent over the last few years. They've made three semi-finals in a row, now they are in the final - that's the steady long term progression you're looking for. We're there now, but you have to keep it coming through and keep your performance levels as high as possible and eventually you'll beat the door down. "Our focus will be to try to improve on our performance from the Tipperary game - to get our focus right the next day and hope we'll get the level that is good enough. If it's not good enough, you have to take it on the chin and everything that comes with it. We've been there before - if you believe in something, you stick at it and that's what you do." In the past Galway was hamstrung by coming in cold to an All Ireland semi-final against a battle-hardened opponent, but they have been able to up that level of consistency since their entry into the Leinster Championship. "Going back to our time 20 years ago, you didn't get to play many championship matches. I played the 1995 semi-final against Clare, we played Roscommon or whoever, was it New York before that? So you got one top championship match and you would have to wait another year for the next one maybe. Then with the backdoor in 1997, we got to play Kilkenny in a quarter-final, who had lost in the Leinster championship, but then as the backdoor changed, there was a group system for a while. "Going into the Leinster championship the number of games played is through the roof compared to what most previous generations of Galway players had played. It has led to players having more games and over time it has helped." Forde was involved in the same minor team in 1992 that saw off a Waterford outfit that boasted its current manager Derek McGrath. Apart from the result, Forde believes that particular win gave Galway the push to kick on and win the nine titles, showing young hurlers in the county they can succeed. "1983 stood on its own, and then we went nine years and the floodgates opened to a certain extent. I remember telling the lads in 2004 and 2005 we were at the stage, thankfully, that if you made the Galway minor team, then most years you had a really good chance of getting to an All Ireland final or winning it. Thankfully that has been carried on with Jeff and the lads now."